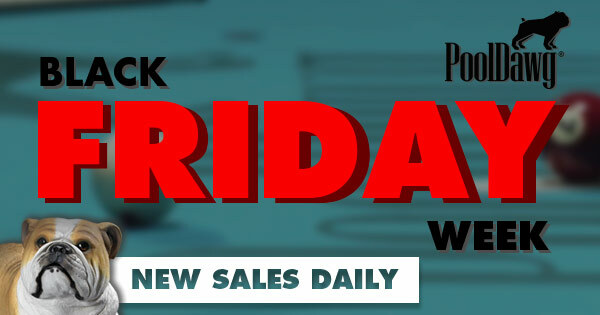 Home > Blog > Black Friday Week Specials… New Deals Daily! It’s that time of year again… BLACK FRIDAY DEALS TIME! Here at PoolDawg we are kicking off the holidaze shopping craze with a new deal everyday starting RIGHT NOW! Check back here daily to see the latest deals because we will be launching a new deals from now up until Black Friday. For this EPIC shopping holiday we’re offering huge discounts on all kinds of products. We have great deals on cues, cases, and accessories from brands like Predator, Viking, OB, Action, Riley, Dufferin, Scorpion and more. Some of these deals have discounts up to and over 50% off MSRP! There's no code necessary, just add these items to your cart then checkout! It’s as easy as that! Quantities on some of these products are extremely limited, so don’t miss out on your chance to save! We've been Stacking up deals all week and you can still take advantage of the other deals from earlier in the week! Now that Black Friday is here, it’s time for you to start staking up these specials in your shopping cart and cash in on some awesome savings for the Holidays! You can find some real gems-of-a-deal in this section and for BLACK FRIDAY WEEK you can get an extra 10% OFF by entering the code CERT18 at checkout. This deal will be running all week and we will be adding some new CPOs so be sure to check back. 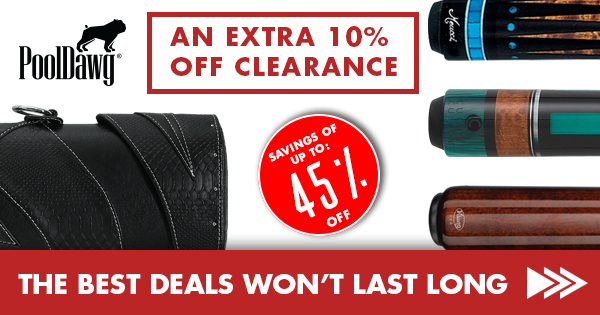 REMEMBER, every Certified Pre-Owned pool cue, shaft, and case in this clearance section is its own unique special. If you see one you like you better jump on it! If you don’t someone else might buy it up first. 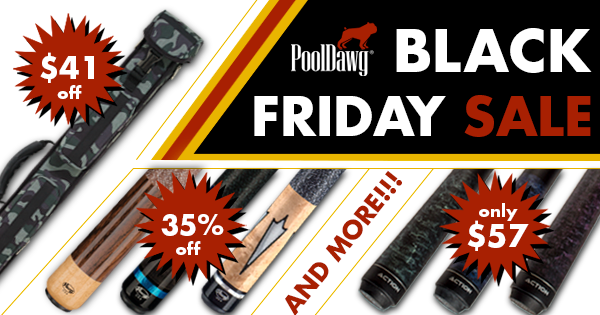 If you aren't familiar with our PoolDawg Branded products, now is the time to check them out! Over the years we have been teaming up with a number of the top brands in billiards to have them help build us our own line of PoolDawg products. 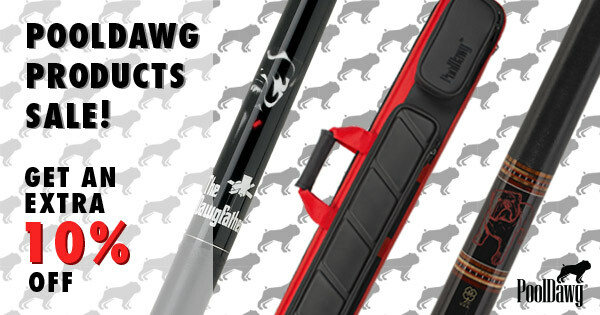 We have a couple of REALLY nice cues that McDermott laser engraved Frank the Dawg onto the sleeve, our crazy popular DAWGFATHER break cue (featured in People Magazine as a top gift for Fathers Day), the Pooldawg Bundle that is a perfect pool player starter pack plus a TON of cool cases and accessories. These are all great products and THIS WEEK you can knock off an extra 10% using code DAWG10 at checkout. *Secret offer for the people who read these details... Gift Certificates are listed as part of this special!